Fast charging will be available at all motorway service stations by the end of 2014. Cars are a heavy contributor to carbon emissions but switching to alternatives like electric cars has been slow because of limited charging points, the recharge time and the restricted distance one can travel before having to recharge. Ecotricity removed this barrier by creating an ‘electric highway’, a network of fast-charging points across UK motorways. You can charge your vehicle from flat to 80% in 20 minutes while knowing the energy is from renewable sources. That’s what we call clean driving! 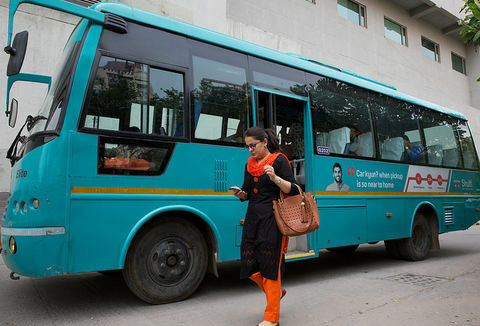 1,200 users registered for the Electric Highway. 1.7 tonnes of CO2 saved per car per year. Vehicles can be charged from flat to 80% in 20 minutes. 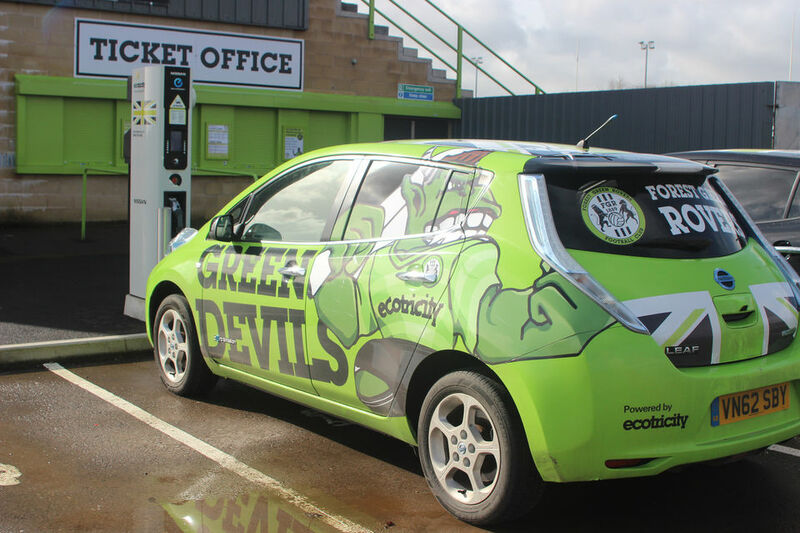 Ecotricity has removed one of the biggest barriers to the uptake of electric vehicles – the limited distance it’s possible to travel before having to re-charge. In the spirit of any true entrepreneur, it has taken a leap of faith and invested in kick-starting demand for electric vehicles, marking a huge leap forward on the road to decarbonised travel. Vehicles powered by electricity generated from renewable sources will be an integral part of our low-carbon future. 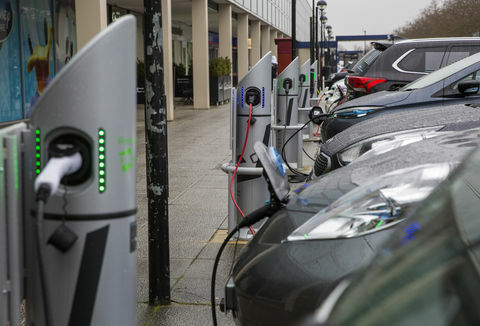 Eco entrepreneur and founder of Ecotricity Dale Vince decided to kick-start demand for electric vehicles by creating a new ‘Electric Highway’ – a network of fast-charging points across the UK motorway network. This has eliminated one of the biggest barriers to uptake of electric vehicles – the limited distance it’s possible to travel before having to re-charge. By the end of 2014 there will be Ecotricity fast charging points at every motorway service station in Britain, marking a huge leap forward on the road to decarbonised travel. ...a huge leap forward on the road to decarbonised travel. Electric vehicle charging at Forest Rovers Football club. The Electric Highway is a network of rapid charging points for EVs, which will have covered all motorway service stations in Britain by the end of 2014. 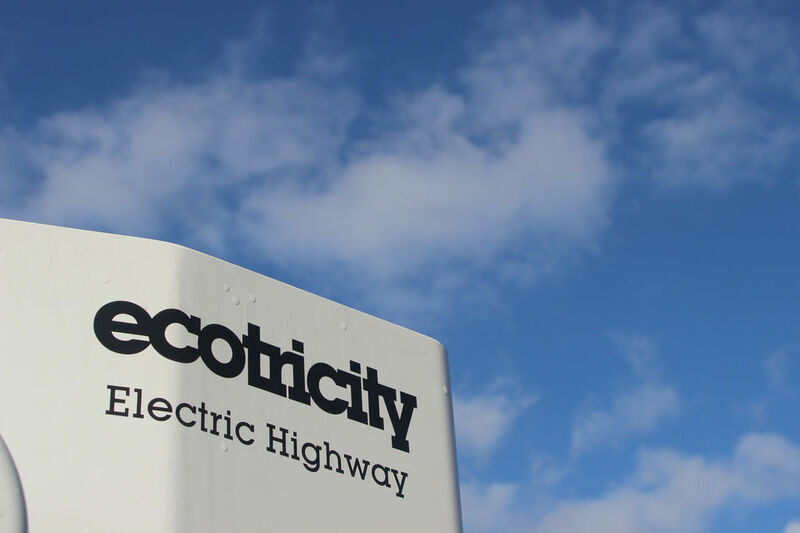 Ecotricity currently have 1,200 users registered for the Electric Highway and sign-ups are growing at about 6% a month. By choosing to purchase an EV rather than a conventional fuel vehicle, the car owner is potentially saving 1.7 tonnes of CO2 per year. The Electric Highway is currently free to register for and use. Electric vehicles (EVs) are much more efficient and environmentally friendly than conventional petrol or diesel vehicles. And if an EV is charged from renewable sources, they can be extremely low carbon. I do not think that it is an exaggeration to consider that the creation of the Electric Highway may come to be seen as of similar significance to the creation of the canal or railway network in times past. The take-up of EVs in Britain was relatively slow at the outset of EV technology. 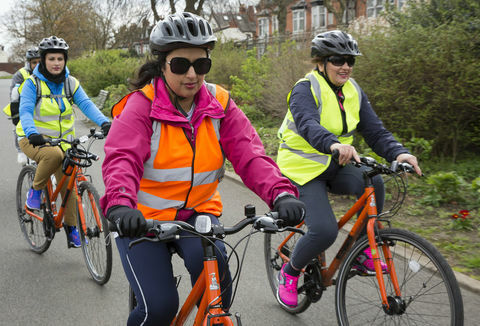 Limits on battery size and a lack of charging facilities were big factors, with some people put off by a ‘range anxiety’ or fear of running out of charge when travelling any significant distance. It was classic chicken and egg stuff: a lack of charging facilities discouraged people from buying EVs, while the lack of EVs on the road discouraged the building of charging facilities. The dream is to have a fast-charge point in every parking space at every service station. 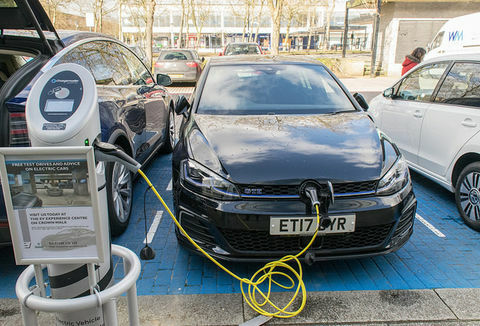 Ecotricity created the ‘Electric Highway’ to help resolve this issue, installing rapid charging points for EVs at Britain’s motorway service stations. The Electric Highway allows EV users to travel across Britain, making EVs a viable alternative to a conventional combustion vehicle. Founded in 1995 as the world’s first green energy company, Ecotricity now powers over 100,000 homes and businesses from a growing fleet of wind and sun parks. It is a ‘not-for-dividend’ enterprise that, on average, invests more per customer in building new sources of green electricity than all other energy companies in Britain put together. The company, based in Gloucestershire, employs around 400 people and the Ecotricity Group had a turnover of £64.8 million in 2012-2013.